For want of an artist name, Jeff Weinmann gets credit for this project. 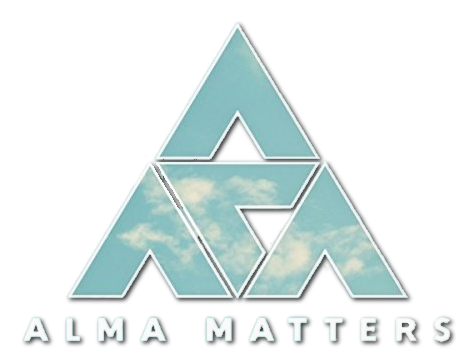 The truth of the matter is, Alma Matters (Tone Traveler Productions, 2017) is a collaborative effort from several producers and musicians who appear in varied combinations. Weinmann is the main force behind the album’s creation, but he appears on only a few tracks. The players, in order of appearance, are: Weinmann, flute, vocals; Jeff Cressman, trombone, flugelhorn, cornet, bass, Engelhart castinets; Natalie Cressman, vocals and trombone; Elena Penderhughes, flute, vocals; Samora Pinderhughes, keyboards; Jonathan Stein, bass; Mark Whitfeld Jr. drums; Ivan Jackson, trumpet; Peter Apfelbaum, keyboards, tenor sax, flute, drums, percussion, vocals, piano and bass; John Schott, guitar; Jill Ryan, vocals and alto sax; Will Bernard, guitar; Charlie Ferguson, drums; Sandy Cressman, vocals; Ben Heveroh, keyboards; David Belove, bass; Josh Jones, drums and percussion; Paul Hanson, bassoon and clarinet; Robin Bonnel, cello; Rachel Durling, violin; Erik Jekabson, flugelhorn; Terrance Kelly, vocals; Destani Wolf, vocals; Marcus Rojas, tuba; Mathias Kunzli, drums; and Julianna Cressman, vocals. Weinmann brings together musical families whose members have some connection to Weinmann over the course of his career. Key among these are Apfelbaum, the Pinderhughes, Jekabson, and Sandy and Jeff Cressman. The latter couple’s eldest daughter, Natalie, is an up and coming artist in her own right. She composed two tracks and sings lead on one. Apfelbaum wrote three and arranged four others. Sandy Cressman composed one song and sings lead on three. Natalie Cressman composed and fronts “The Unknown,” supported by the Pinderhugheses, Stein, Whitfield and Jackson. It’s a charming, moderately paced song, accented by Cressman’s haunting, soothing vocal. One Apfelbaum arrangement is the funky, social activism track, “Get Involved.” It was written by George Jackson, who is known for “Down Home Blues,” the Osmond Brothers’ hit “One Bad Apple” and Bob Seger’s popular “Old Time Rock and Roll.” With Apfeulbaum and Jeff Cressman handling multiple instruments, vocalist Tony Lindsey calls on those who talk a lot about wanting the world to change to take action. Accompanied only by Apfelbaum’s piano, the Cressman women join Weinmann in performing Simon and Garfunkel’s “Bridge Over Troubled Water.” Each vocalist takes a part during the early verses, then they all harmonize for the chorus. It’s a beautiful and appropriate finale to this set. Weinmann and Apfelbaum’s friendship dates back to childhood. This project grew out of their meeting at Truckee, California, where they began to formulate the idea of doing an album that showcases the depth of San Francisco Bay area jazz. Weinmann then recruited another childhood buddy, Jeff Cressman. 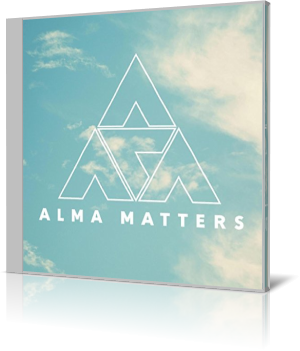 Though several of the songs are original compositions, the idea for Alma Matters was to draw upon music that influenced the trio, including gospel.